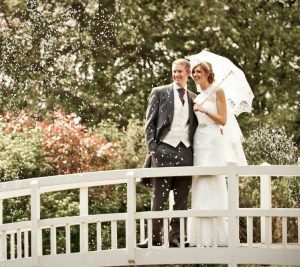 Set in 100 acres of quintessentially British countryside, Fennes provides a romantic and versatile venue for weddings, civil ceremonies and partnerships. 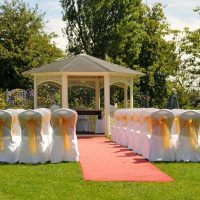 The elegant Georgian Manor House sits in a natural amphitheater of stunning landscaped gardens and lush fields. There are endless photographic opportunities within the house and grounds including a fairy-tale bridge, whimsical gazebo and grand staircases. After your ceremony, whether it is held at one of the closely associated churches of your choice or at Fennes, enjoy a variety of settings to host your wedding breakfast or reception. Whether you want to make your commitments indoors or outside in the manicured gardens there is a choice of borgeous settings to choose from. 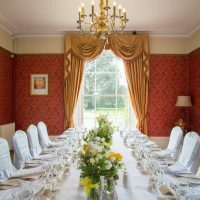 Accommodating up to 35 ceremony guests, the elegant drawing room is traditionally decorated in warm hues, lending to a warm and intimate ambiance. The large French windows suffuse the room in natural light and offer delightful views over the grounds. 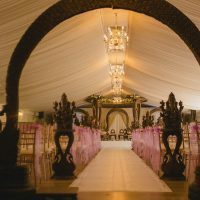 The stunning silk lined Pavilion is a versatile venue catering for up to 350 ceremony guests or 150 for a seated meal. Wall to wall glazed windows bathe the space in natural light and offer access to the tranquil gardens. Because the Pavilion can be divided, it can be used for both large and small festivities. The largest space available is the magnificent banqueting hall, which is ideally suited to grand events up to 500 ceremony guests or 400 for a seated meal. The spacious setting has all the features of the pavilion including silk lines starlight ceiling but boasts a larger capacity. For couples who want to tie the knot under the big blue sky, the licensed gazebo is the ideal location. The picturesque setting is surrounded by heady blooms throughout the fairer months of the year and perfect for an array of wedding photographs. Located on the lawn there is plenty of room for guests seating with room to spare for garden games, canapés, drinks and much more. 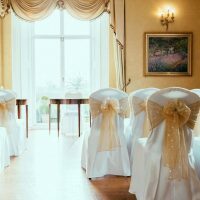 Fennes range of packages reflects their unique bespoke approach to weddings. Create your perfect wedding your way, or choose from a selection of set packages for a fuss free and simple option. Set packages include – the early bird special, last minute wedding offers and seasonal deals. The catering team works with each couple to tailor a unique menu that not only meets all expectations but also utilises locally produced, seasonal produce. To fully relax after the excitement of your magical day, take advantage of the luxuriously appointed accommodation. Choose from eight tastefully decorated rooms and suites and the lavish honeymoon cottage. Unwind in style with deluxe furnishings and modern facilities including four poster beds, jacuzzi baths and chandelier lighting. Following the celebration enjoy a delicious breakfast carefully prepared by the experienced and creative catering team.